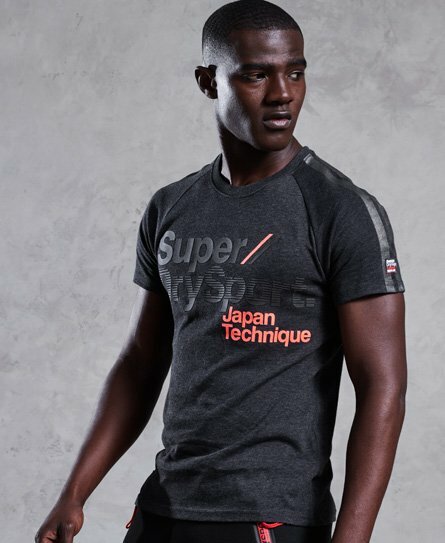 Superdry men’s Technique t-shirt. This tee features four way stretch technology for improved movement in every direction. This crew neck t-shirt has a textured Superdry Sport logo across the chest, panel detailing down each shoulder and a Superdry sport tab on the sleeve.